Washington, D.C.- Uncertainty reigns among members of the Senate Committee on Foreign Relations for the nomination of Philip Gordon to be Assistant Secretary of State for European and Eurasian Affairs after statements he had made during his hearing before the committee when questioned by Senator Robert Menendez. More questions were submitted to Gordon on Friday and if members find his explanations unsatisfactory, his confirmation will be delayed and most likely he wont be able to accompany the President to his first European trip. On Wednesday Menendez held a private meeting with Gordon before the hearing but the latter failed to persuade the Democrat New Jersey senator that the views which he will furnish President Barack Obama during his term in office will be impartial and not affected by the his pro-Turkish views he had expressed during his career as academic and analyst. The US Senator negatively commented articles which Gordon had written against the recognition of the Armenian genocide by the US, his reaction when the Annan Plan was rejected by the Greek Cypriot community in 2004 during a referendum as well as his views on the role of Turkey. During the hearing, Menendez called on Gordon to say whether he agreed with the statement in Obamaʼs pre-election campaign which referred to a political settlement of the Cyprus issue which will end the Turkish occupation of northern Cyprus and correct the tragic division of the island. 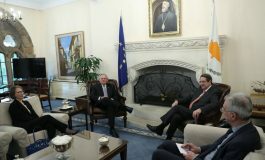 Gordon replied that he agreed, however he claimed that the view concerning occupation is expressed by the government of Cyprus and some experts. 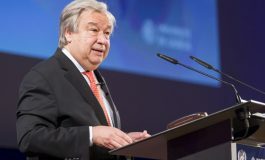 He went on to claim before the committee that there is a Turkish presence in the northern part of Cyprus which is not accepted by the government of Cyprus and it is an issue under negotiations which the US support for a solution to the Cyprus issue, adding he has not changed his views, even when indicated by Menendez that this was included in Obamaʼs declaration. SEN. ROBERT MENENDEZ (D-NJ): Thank you Madame Chairman. I have a budget vote that is taking place, so I’m going to hopefully be able to get my questions in, but if not I may come back if there are still members, and return. If not, I’ll submit them for the record. Mr. Gordon, I want to focus questions that — we had an opportunity to have a brief discussion, and I want to follow up. Let me read this statement to you and ask you if you agree with it or not: “A negotiated political settlement on Cyprus wound end the Turkish occupation of northern Cyprus and repair the island’s tragic division, while paving the way to prosperity and peace throughout the entire region.” Is that something that you would agree with? MR. GORDON: Yes, Senator, I would. SEN. MENENDEZ: Okay. So, like the president of the United States, you recognize that there is an occupation in the northern part of Cyprus. MR. GORDON: There is a Turkish presence in the northern part of Cyprus that is not accepted by the government of Cyprus and would be the subject of the negotiations that we support to bring about a Cyprus settlement. SEN. MENENDEZ: But you don’t consider it an occupation. MR. GORDON: There are a number of outside experts in the government of Cyprus who consider it an occupation. SEN. MENENDEZ: The statement I read to you is from then-Senator Obama as he was running for president of the United States. It was his policy statement, and so it’s not simply my view or the view of others that it was a occupation, but it is his. Let me ask you this. 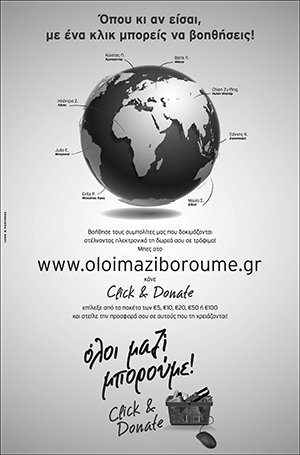 I read your articles with reference to the Annan plan in which you criticized the Greek Cypriots who rejected it. That plan included — and did you read that plan? SEN. MENENDEZ: Okay. I know you supported it, and you also read it, right? So that plan included prohibiting Greek Cypriots from purchasing property in a third of their own country, allowing the same number of Greek Cypriots on the Cyprus Supreme Court as foreign citizens, constitutionally establishing Turkish troops permanently on Cyprus, and taking tens of thousands of Greek-Cypriot homes, and in essence, giving them for free to those who at present are occupying them, maybe with some compensation. It took Americans two years to approve our four-page Constitution. Cypriots were only given a few weeks to consider a constitution and its attachments that numbered over 9,000 pages. So I think one might see why a Western Democracy like Cyprus would reject permanently structuring the future of their country in such a way and in such a time frame. So how do you view, in light of these and other facts — there have been 15 million crossings from one community to the other in recent years without an incidence of violence — how do you in light of these facts, would you rethink your support of such settlement provisions on Cyprus that produce such an unproductive vote, or are you wedded to the views that you originally held? MR. GORDON: Thank you Senator. As we discussed yesterday, I acknowledged that I did support the Annan Plan at the time. I thought it was better than the status quo. I thought it had enormous problems because it’s a terribly complicated situation, but I thought it was better than the status quo because it was a settlement, because it brought security to the island, because it recognized one Cyprus, which is U.S. government policy, because it would lead to a significant departure of Turkish military presence, and a territorial adjustment that that would be in the interest of both sides. SEN. MENENDEZ: And I appreciate that. The question is: Those who are trying to revive the Annan plan, and even though the two parties are negotiating, and the reason I ask you these questions is because the reason you get nominated for this position is your expertise, your background, your knowledge, and the fact that the secretary of State, and for that fact, the president of the United States, will ask you what are your views. And therefore you will have not an insignificant position by which to fashion U.S. foreign policy, and that’s what I’m concerned. I’m also concerned when I read your comments with reference to the Armenian Genocide. This is a quote from an article you wrote: As if tensions with Turkey were not already strained enough by the Iraq world and the Curtis issue, moves in the U.S. House of Representatives to recognize a “Turkish Genocide” against Armenians in 1915 have stroke the sense of crisis. And, you know, I have a concern when there is a veto by a foreign government over domestic policies and policies of the United States, including the Congress of the United States. And I have a real concern that those who would be in the position of authority would actually seek to fashion that. You know, that same record doesn’t speak out about Turkey’s legacy of denial. The fact that it has a series of other issues that affects its entrance into the European Union, with Cyprus being one. The whole question of the (Ecumenical Patriarch ?) and a whole host of others. So I’m concerned that at the end of the day that there will be the appropriate balance here, if you were to be confirmed by the senate. Can you speak to that for me? And lastly, since I’m going to have to go for budget votes, and I’m going to hang in here to listen to your answers as long as I can. In the pursuit of complete transparencies, would you provide for us for the record subsequent to this hearing, the list of countries that will be under your jurisdiction. And would you also provide to us the organizations that you have worked with prior to this nomination? And what monies were received both those organizations from any foreign government at the time that you were involved there? MR. GORDON: Sure, I would be happy to do that. Very briefly based on a number of very important issues that I know are important to you and to this committee and to this administration. On the Annan plan very briefly, my understanding is it’s not on the table in terms of the debate about whether we support it or not. My understanding is that there is no such thing as an Annan plan any more. What there is, very fortunately — what there are, are negotiations that are going on directly between the two parties. It’s not the U.N. writing a plan. 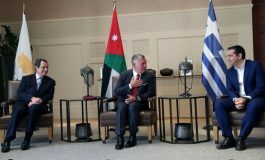 It’s not the United States writing a plan, but the two parties on the island are negotiating, which is a very good thing because I think like you Senator, I believe that a negotiated settlement on Cyprus would be very much in the interest of the parties. You quoted comments of mine on Armenia, and the suggested that these congressional measures would provoke a nationalistic backlash in Turkey, which analytically I think is accurate. And that’s what I was writing. I have been at a think tank for a number of years, and that’s what we do when we analyze. And I was making the analytical statement that such a resolution would provoke a nationalistic backlash in Turkey. You suggested the need for balance, and I absolutely agree. And I absolutely agree that the United States and Congress and citizens, including in Turkey, need to recognize that a terrible tragedy took place. That more than a million and a half people were driven from their homes and massacred. And people need to recognize that in honor of the victims of that strategy. And that sort of balance, I think, is necessary as I say not only here, but in Turkey. And you mentioned the debate within Turkey, and I think if you’ve looked at my writings, you have seen that I’ve personally long encouraged that. The United States government has encouraged that. And if confirmed, I would also do so. I think there’s been some progress in that regard, including on this issue. But not enough, and if confirmed, I would make it a priority of mission for you.